We like to be present for each and every calf’s very first breath of life & this beautiful girl was no exception! 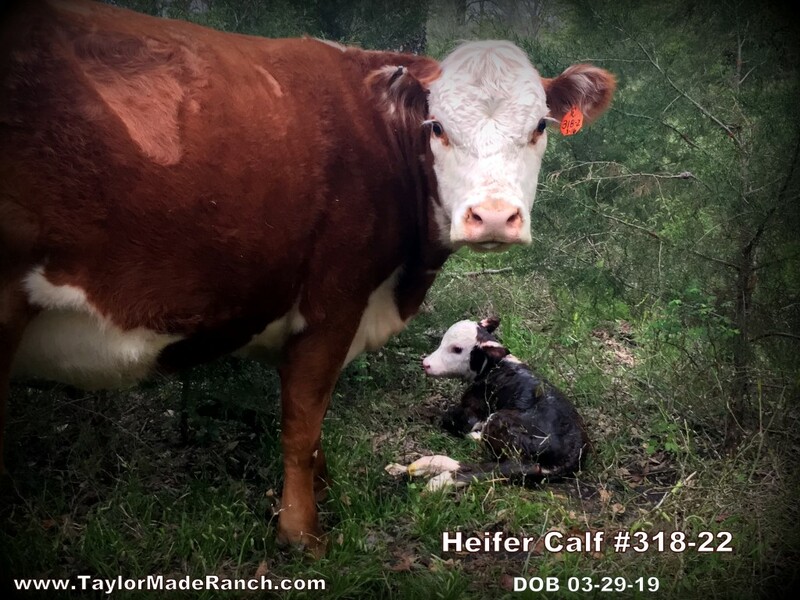 Her dam calved this 78-lb heifer in 15 minutes hoofs-to-tail – good job, mama! We moved our yearling heifers to the barn paddock today to utilize the winter rye. 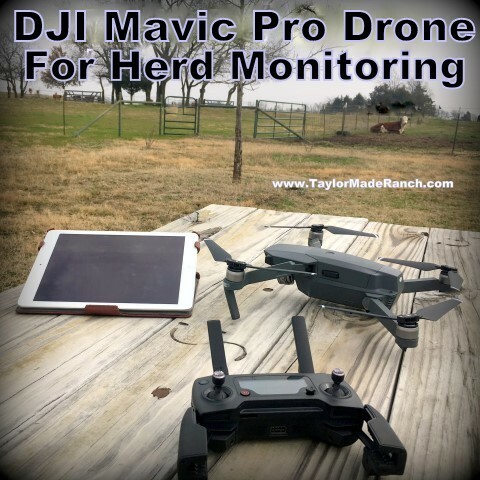 Most ranchers know there’s no substitute for laying eyes on your herd animals on a regular basis. We typically check our herd daily. These visual inspections tell us much. 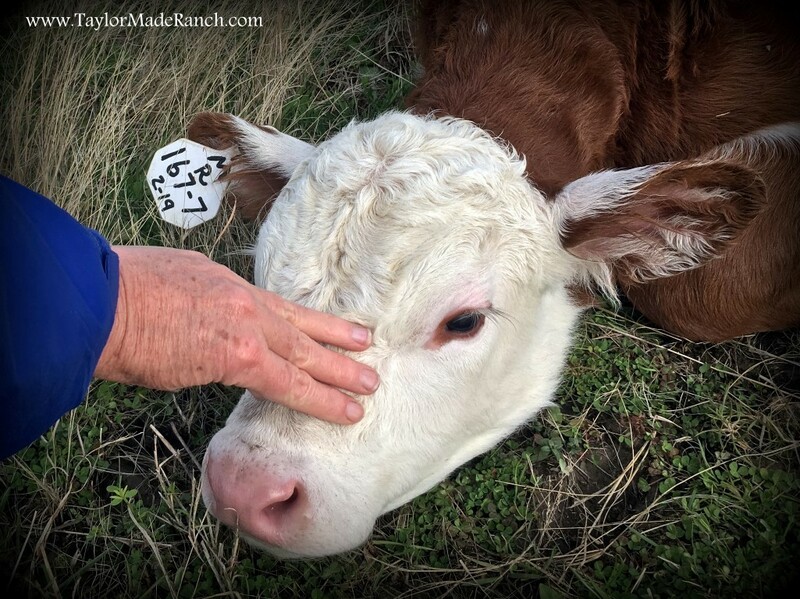 Things such as how a cow’s body score is holding up, whether a bred cow is nearing calving time, and if one animal has her head lower to possibly indicate illness. Quick action is important in reducing the negative effects of problems in the herd. And in our opinion that needs to be boots on the ground, physically looking them over. But sometimes you have need to keep an even closer eye on some in the herd. Maybe you have a cow that you’re pretty sure will be calving within a couple of days. You want to know as soon as she starts pulling away from the herd, possibly indicating labor. Ugh, the mud we’re dealing with! We’re trying to keep our herd out of the mud as much as possible, but coming off the heels of yet another drought followed by record rainfall, it’s a tough endeavor. And unfortunately Mother Nature’s holding the cards, all we can do is try to level the playing field. So we’re moving the cattle often. We’re bringing the herd into a ‘sacrifice pasture’ where we’ve loaded hay into hay rings. 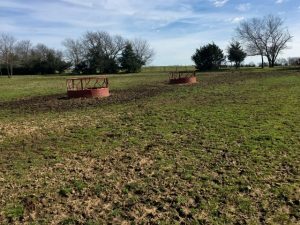 Although the cattle congregate around those hay rings and make a muddy mess, we’re sacrificing the health of the grass in this one paddock to try to salvage the other pastures and keep them productive. After a few days we’ll move the herd to a nearby hayfield to graze a bit. They can only stay there a short time because although the grass is finally trying to sprout, there’s not much up yet. But it gives them a chance to get out of the mud for a while. It also helps the ground around the hay rings to (hopefully) dry up a bit. The cows very much enjoy their short grazing time before we once again bring them into the sacrifice pasture for hay for a few days. Yesterday we were nearby as this beautiful boy took his first breath of life. What a beautiful thing! 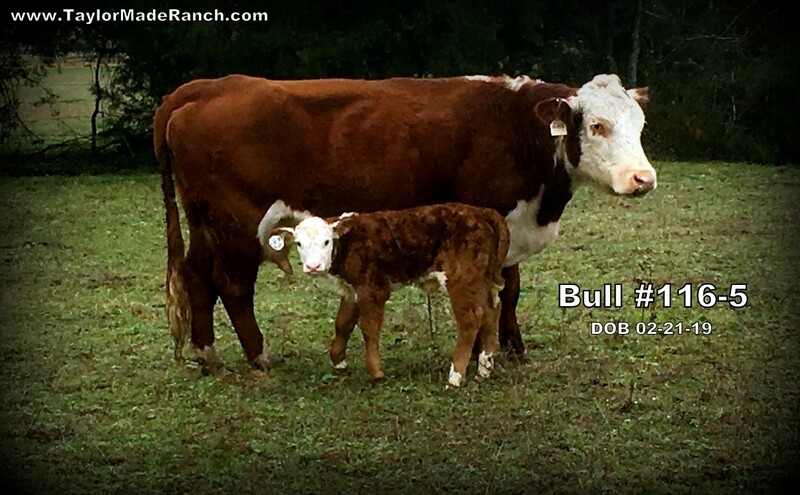 But the poor thing – as is apparently ranching law, it seems calves are always born in the worst weather. I’m sure he (like us) can’t wait to finally see the sunshine! Welcome to the ranch, handsome. Shall We Name Him ‘Valentino’? 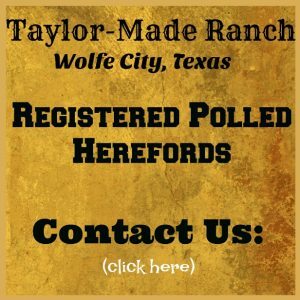 I’d like to introduce you to our newest member of Taylor-Made Ranch. He’s so handsome and I love the pigment around each eye – something we always try to breed for. Shall we name this beautiful boy, Valentino? This newborn phase is my favorite. Of course we like to see each of our new calves take their first breath of life. Is there anything more precious? And once he gets cleaned up & has a nice warm meal he lays down to rest. I get a chance to introduce myself. He knows RancherMan & I will be good stewards and that we’ll do all we can to give him a healthy start. 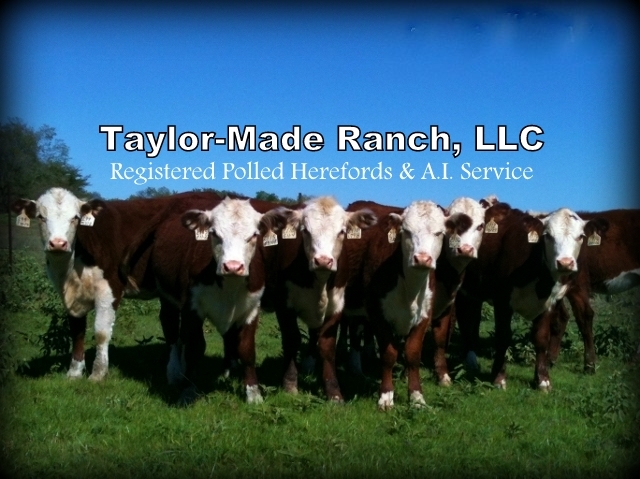 Today we’re doing a little pregnancy checking in advance of our spring offerings of registered Polled Hereford cows, bred cows, breeding bull and calves. Be sure to keep an eye out for our availability announcements! King of the Castle…errrr Pasture! He’s the A.I. 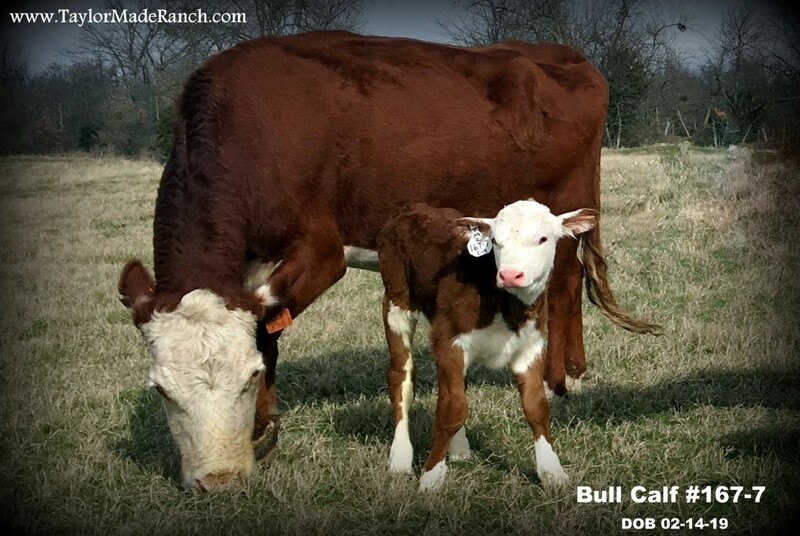 result of our most productive registered polled hereford cow and his calving-ease A.I. sire Perfect Timing. 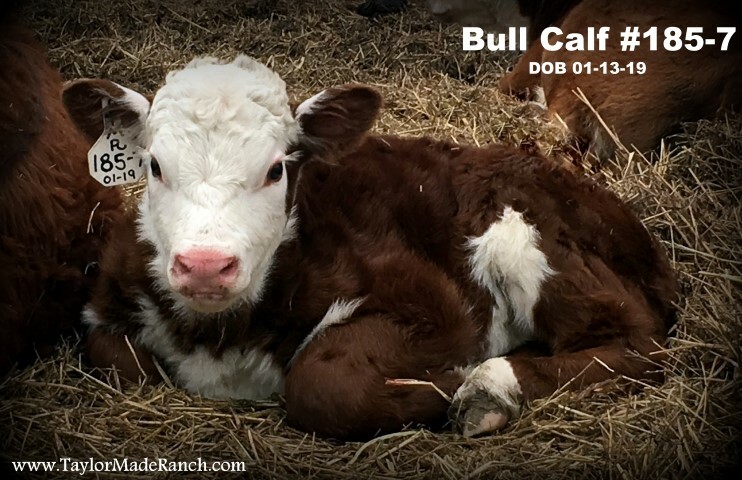 And he’s sure making some beautiful calves for us! 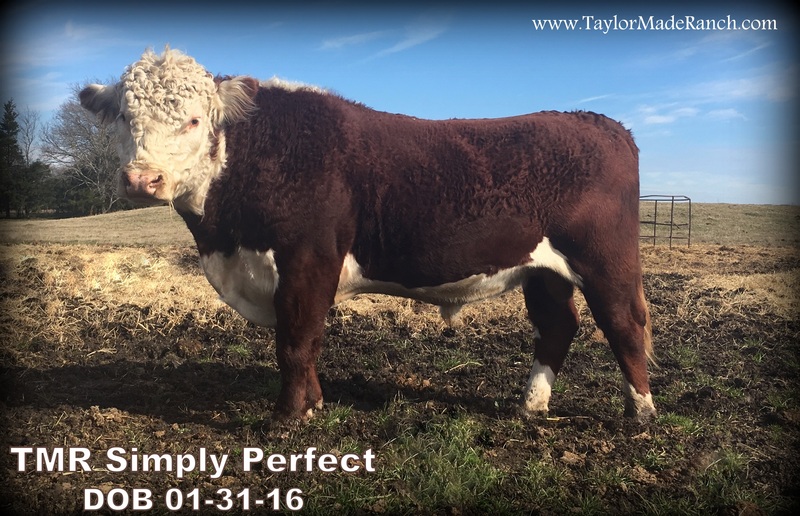 As a matter of fact we’ll be keeping quite a few of his heifers, so we’ll be listing this gorgeous boy for sale soon. 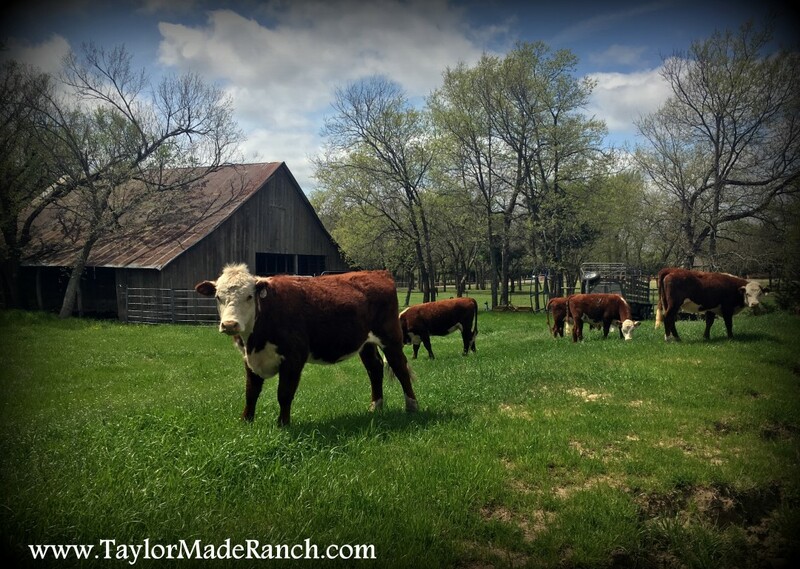 Keep an eye on our Facebook Page and the Cattle For Sale tab on our Website for updates! 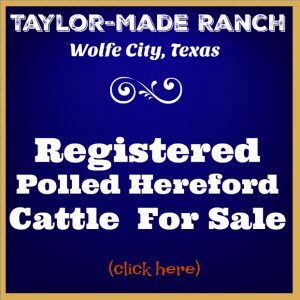 Last year a bright young woman came to our ranch to purchase a show heifer. 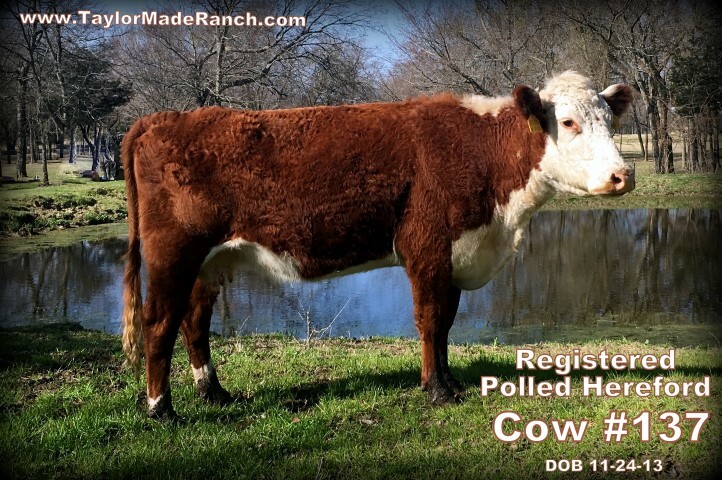 She chose heifer #299-4, but Katie named her “Ms. Ellie“. 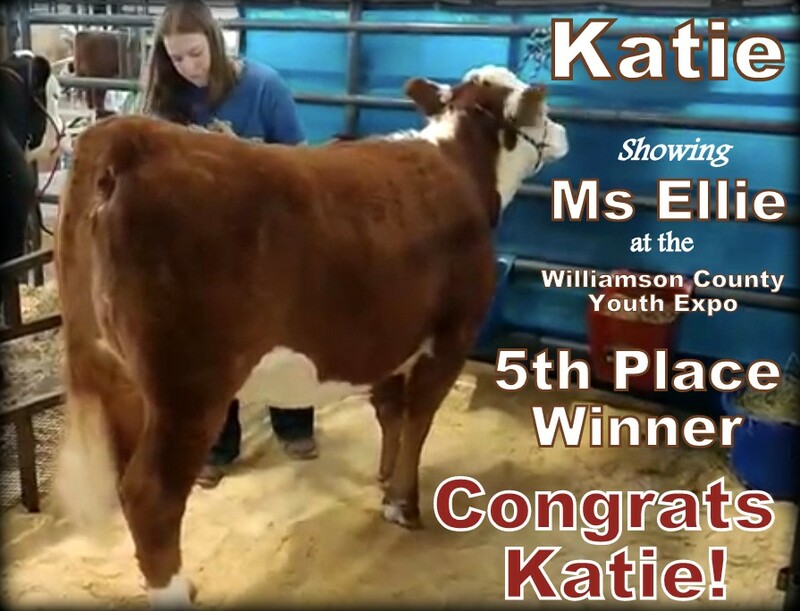 Recently Katie sent word that Ms. Ellie placed fifth in the Williamson County Youth Expo. Congrats! It takes much effort for these young people to get a calf ready for show and Katie’s done an awesome job. A job well done, Katie. Your hard work is certainly evident. Join us in congratulating Katie & Ms Ellie. As promised I’m sharing a photo of our newest boy. Isn’t he handsome?? We love his dark red coat and the pigment around his eyes. These are both important features we strive for in our herd. Welcome to the ranch, handsome boy!